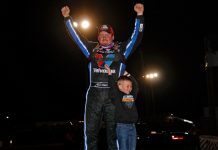 CONCORD, N.C. – The World of Outlaws Craftsman Late Model Series has released dates for several major events, including a new two-day event scheduled for Ohio’s Sharon Speedway. The first event on the schedule will be the annual Winter Freeze on Feb. 8-9 at Screven Motorsports Complex, a three-eighths-mile dirt oval in Sylvania, Ga., where the series first raced in 2008. That weekend sets the stage for four nights of action on Feb. 14-17 at the newly renovated Volusia Speedway Park for the 48th annual DIRTcar Nationals. As part of the 12-day DIRTcar Nationals, the Outlaws will race four nights in a row in 50-lap, $10,000-to-win features. 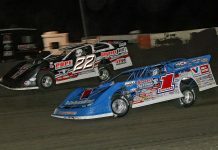 The late model racing action begins with the DIRTcar Late Models on Feb. 11-12. Fayetteville (N.C.) Motor Speedway Promoter Jim Long spawned the First in Flight 100 last season to celebrate the track’s 50th anniversary season, and the event returns on May 10-11 for another $25,000-to-win show. Qualifying events will be held Friday and racing will take place on Saturday. Jimmy Owens took the inaugural win this past season against a 34-car field. June is highlighted by one of the biggest events in dirt late model racing, the 13th annual Firecracker 100 on June 20-22 at Lernerville Speedway in Sarver, Pa. Chris Madden took home the $30,000 top prize in 2018. 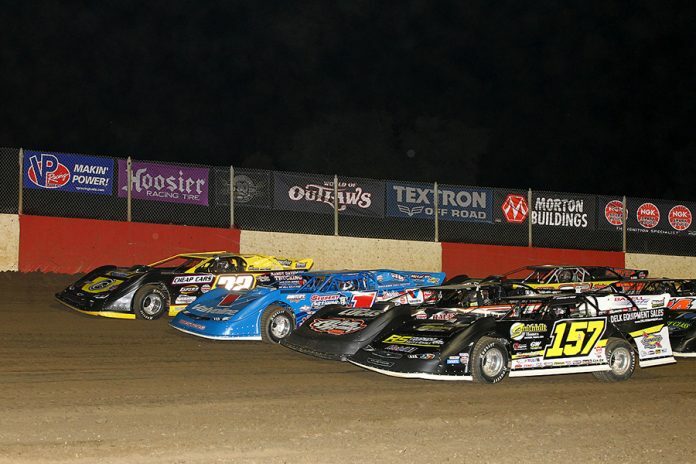 The Prairie Dirt Classic kicks off on July 26-27 at Fairbury (Ill.) American Legion Speedway, celebrating 30 years of the prestigious race at the Fairbury facility. The popular event format returns with four 25-lap preliminary features on Friday to set the first eight rows of the Saturday feature. The top four in each qualifier will transfer, top two to the redraw. Everyone else will compete in the 10th annual Prairie Dirt Shootout on Saturday evening, where the winner of that race has the option of taking the $2,000 check and loading up or starting from 29th in the 100-lap Classic for a chance at $30,000. The marquee events keep rolling the on following weekend when the series heads to New Richmond, Wis., for the highest-paying event of the year — the 32nd Annual, $50,000-to-win USA Nationals on Aug. 1-3 at Cedar Lake Speedway. 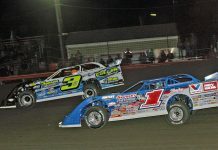 The Thursday race night will be a $6,000-to-win Outlaw show, while the Friday and Saturday portions of the event will feature the passing points format first implemented this past season. New to next year’s race will be a $3,000 check to start in Saturday’s main event, giving each team more of an incentive to come and race. Sharon Speedway in Hartford, Ohio, returns to the World of Outlaws schedule with a new, two-day event. The inaugural Battle at the Border will kick off on Aug. 30 with a 25-lap, $6,000-to-win main event, leading to a 75-lap, $15,000-to-win race on Sept. 1. Finally, the series championship will wrap up with the 13th annual World of Outlaws World Finals at The Dirt Track at Charlotte in Concord, N.C., Nov. 7-9. The three-day event will cap off the year with the $12,000-to-win, 50-lap features on Friday and Saturday to crown the series champion. The complete World of Outlaws Craftsman Late Model Series schedule will be released in the coming weeks.